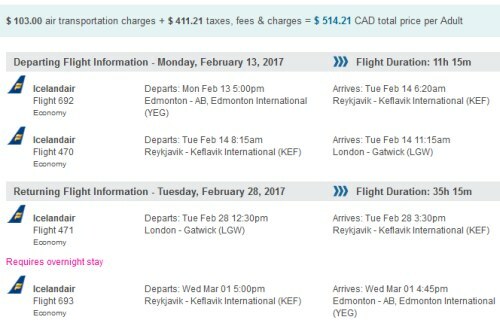 Icelandair has dropped the price of their off-season flights from Edmonton to London, UK down to between $515 and $598 CAD roundtrip including taxes. The $515 flights have an overnight layover in Reykjavik, Iceland on the way home. The $598 flights do not. Click on the departure date box to open up the calendar view. Start by clicking on a departure date that shows either $515 or $599. When you go to choose a return date, look *only* for the dates that show a price of $599. These flights do not have the overnight layover in Iceland. Of course, if you do want the overnight layover in Iceland, you can choose the return dates that show $515. Edmonton to London, UK - $515 CAD roundtrip including taxes, with an overnight layover in Iceland. Look for date combinations that are $515 roundtrip. 2. Select your flights and click through to Flight Network. 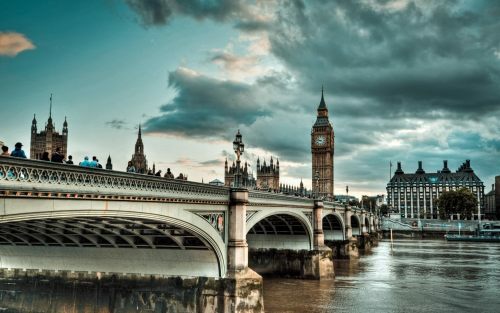 edmonton, yeg, flight deals, europe, western europe, london, lgw, england, united kingdom, icelandair and uk.